I am a dancer, a constant daydreamer. I like sparkling wine in the late afternoon, ripe and juicy strawberries in June. I am madly in love, I am madly in loved. I believe in living life with purpose, but in floating through the day too. I have books to read, places to see My name is Anna. To ask other readers questions about The Girls at 17 Swann Street, please sign up. Lexi Martin I won this book and wouldn't mind passing it on. Does anyone know anything about the author of this book? Anna is originally from France. She is a dancer but hasn’t danced since she hurt her leg. When her husband, Matthias receives a job offer to work in the United States, Anna decides it's a good thing. Her leg will heal and she will dance in the U.S. But after the move, things started to change. I really enjoyed this novel and I'm looking forward to reading more from Yara Zgheib. Gut-wrenching. Sad. Compassionate. Hopeful. Important. While this might be a work of fiction, there’s an air of authenticity that feels similar to taking a punch to the gut. At times, facing Anna’s reality is uncomfortable and harrowing, but also eye-opening and honest. While not everyone can understand what it means to battle anorexia—I’m the first to admit, I’m an emotional eater—we all as humans can sympathize with the underlying struggles, loss and regrets that often linger on the periphery of Gut-wrenching. Sad. Compassionate. Hopeful. Important. While not everyone can understand what it means to battle anorexia—I’m the first to admit, I’m an emotional eater—we all as humans can sympathize with the underlying struggles, loss and regrets that often linger on the periphery of our conscience. It’s how we deal with those things that vary. Reality is, sometimes we choose the wrong coping mechanisms, things that initially present themselves as stress relievers or worthy options to regain some semblance of control in our lives. Those unhealthy alternatives becoming an addiction or disease that ultimately robs the best parts of life—feeling, experiencing, and sometimes in the most extreme cases, being. Yara Zgheib introduces readers to Anna, a former ballerina struggling with anorexia nervosa. She’s embarking on a journey to relinquish the control she’s found in portioning, calorie restrictions and over-exercising. Quelling the negative self-talk and anxiety that comes along with putting food in her mouth and actually swallowing feels insurmountable at times. Especially when faced with a forced feeding schedule or the thought of a nasogastric feeding tube. It’s in a house on 17 Swann Street—surrounded by peach-colored walls and women facing similar fights—that Anna spends five weeks rediscovering her own will to live. Over time, she comes to appreciate and accept the love and support her husband and father so willingly offer. Things most of the women around her don’t have. Anna’s story is one filled with hope and unwavering intensity; you can't help but to root for her and each of the women that cross her path along the way. The powerful message transcending the words typed across the pages: where there's a will, there’s a way. There’s no getting around the hard work or vulnerability that healing demands, but there’s promise to be found in solidarity and accepting the support offered. Anything is possible, you just have to want it bad enough for yourself. And, who knows, one day, you might be the one offering the encouragement that makes a difference. My one and only contention was with the presentation of the story. Told through a series of vignettes—snippets from Anna’s past, present and a variety of treatment center forms—as opposed to a full-fledged, continuous timeline, resulted in somewhat of a choppy reading experience. A compulsive read. I started reading this book last night. I read early this morning. I read when I went the gym and I read this afternoon until I finished it. I could not put it down, in spite of the fact that it’s an emotionally difficult book to read. I was taken to a place I have no understanding of, not just at 17 Swann Street, but I don’t know what it’s like to be anorexic and I’ve never personally known anyone who was. I was fully immersed into Anna Roux’s life. The narrative alternates b A compulsive read. I started reading this book last night. I read early this morning. I read when I went the gym and I read this afternoon until I finished it. I could not put it down, in spite of the fact that it’s an emotionally difficult book to read. I was taken to a place I have no understanding of, not just at 17 Swann Street, but I don’t know what it’s like to be anorexic and I’ve never personally known anyone who was. I was fully immersed into Anna Roux’s life. The narrative alternates between Anna’s present in the residential recovery program at 17 Swann Street, to her past just before and then earlier when she meets and falls in love with her husband, to her childhood, then to the stark clinical description of her condition in her Treatment Plan notes, to her sessions with her psychiatrist and most poignant of all her thoughts. Anna Riux is a professional ballet dancer. Battling her emotional demons - imperfection, loneliness, failure, guilt - leads her on a dangerous downward spiral to anorexia and depression. To say that Anna's harrowing journey to reclaim her life affected me would be an understatement. There were moments of inner dialogue that left me with tears streaming down my face. This may be a work of fiction but it was an intimate, heart wrenching and emotional look at battling eating disorders. I don't know about you but I have definitely had moments where my emotions fuel my eating - feeling so anxious I can not eat or so emotional that I want to eat every sweet in sight. We have all had moments where life feels out of our control. How do you handle it? When Anna felt like nothing was going her way she chose to control what she could - her food intake. 17 Swann Street gave us an insightful look at treatment. It was hard to read about the forced high caloric intake meals, feeding tubes and limited access to bathrooms. I felt for these women who were battling to save their lives. The anxiety over something as seemingly innocuous as sitting in front of a bagel and cream cheese for breakfast was palpable. I was moved by the love between Anna and her husband Mathias and the support both he and her father desperately provide. With them championing her healing Anna was able to become vulnerable enough to make strides toward recovery. I was touched by the support the women in the rehab house provided to each other. Solidarity, understanding and encouragement are crucial to any recovery. This is definitely an emotional read. If you opt to pick it up be prepared - you will not put it down unscathed. Your emotions will be all over the place and your heart will be broken but you will come away stronger for having endured 17 Swann Street and sharing the journey of its inhabitants. Yara Zgheib's heartbreaking and lyrical debut takes us into the world of eating disorders, how they can arise and the devastating impact on both sufferers and their circles of friends and family. It begins with the 26 year old Anna Roux entering 17 Swann Street, a residential medical treatment house inhabited by vulnerable and fragile women. As the narrative goes back and forth in time, we learn of Anna's dedication to her career as a professional ballet dancer in Paris, an ex-boyfriend who dama Yara Zgheib's heartbreaking and lyrical debut takes us into the world of eating disorders, how they can arise and the devastating impact on both sufferers and their circles of friends and family. It begins with the 26 year old Anna Roux entering 17 Swann Street, a residential medical treatment house inhabited by vulnerable and fragile women. As the narrative goes back and forth in time, we learn of Anna's dedication to her career as a professional ballet dancer in Paris, an ex-boyfriend who damaged Anna's self esteem, her wonderfully loving husband, Matthias and her injured leg. Matthias is offered a opportunity to work in Missouri in the United States which Anna is happy to support. However, an isolated and lonely Anna is plagued by her insecurities and fears as her life spirals out of control with depression and anorexia, and she weighs a mere 88lbs. Angela M Fantastic review, Paromjit! I read this book in one day. This is a powerful debut for Yara Zgheib. The Girls at 17 Swann Street is a poignant and devastating look at eating disorders and how they affect one's life and their loved ones lives as well. "I used to eat. I used to like to eat, then I grew scared to eat, ceased to eat. Now my stomach hurts; I have been anorexic so long that I have forgotten how to eat." Anna Roux was a professional dancer who had to temporarily stop dancing due to an injury. She thought she would I read this book in one day. This is a powerful debut for Yara Zgheib. The Girls at 17 Swann Street is a poignant and devastating look at eating disorders and how they affect one's life and their loved ones lives as well. Anna Roux was a professional dancer who had to temporarily stop dancing due to an injury. She thought she would be able to dance again after she and her husband, Matthais moved to the United States for his job. Unfortunately, she was turned down many times and found a job as a cashier before succumbing to loneliness and depression while waiting for her husband to return home from work each day. She is anorexic and eating causes anxiety. She notes how her clothes are getting bigger and after her husband finds her unconscious on the bathroom floor, she enters a residential treatment center for women struggling with eating disorders. Through the course of the book, the reader is shown case notes, eating plans and Anna’s thoughts. The reader is shown her past, her relationship with her husband, the ex-boyfriend who hurt her self-esteem and self-image, her family and her interactions with those at the residential treatment facility. This is not a happily ever after book. I appreciated how the Author showed that this is something that will be a struggle for the main character throughout her life. The Author showed us the characters unhealthy relationship with food, their mental health issues, self-esteem issues, body image issues, and the serious and life-threatening health issues that arise from having an eating disorder. I thought the author painted a very realistic picture. She showed that there will be struggles, that relapse can occur that the thoughts associated with eating will not change overnight (and possibly may not entirely change), that this can be a lifelong battle. I enjoyed how the story was told. I immediately felt concern for Anna and was invested in learning what would happen to her and how she would react to being in the treatment center. Studies show that 1 in 20 people will be affected at some point in their lives by an eating disorder. In the United States, 20 million women and 10 million men suffer from a clinically significant eating disorder at some time in their life, including anorexia nervosa, bulimia nervosa, binge eating disorder or EDNOS. (EDNOS is now recognized as OSFED, other specified feeding or eating disorder, per the DSM-5). Anyone can develop an eating disorder regardless of gender, age, race, ethnicity, culture, size, socioeconomic status or sexual orientation. People are usually quick to take care of their physical health, but one's mental health is just as important. People should never be ashamed to ask for or seek help for themselves or for their loved ones. The stigma of mental health has been around for far too long and needs to stop. Eating disorders are extremely serious (as are all mental health issues) and people need to educate themselves. I don't know anyone who would look down on someone for having cancer, diabetes or heart disease, we should also not look down on or make fun of those with mental illness. We should be kind, be supportive, offer to go to appointments with them, talk to them, learn about their diagnosis, etc. Overall, an enjoyable and haunting look at one woman's eating disorder and her time in a residential treatment facility. There are many books out there the deal with eating disorders and I found this to be a very good one that tells the story with compassion. I appreciated that things were not sugar coated nor were they brutally in your face either. I am impressed that is a debut book. I found it to be well written and again, I enjoyed the style in which it was written. I found the case notes and meal plans to be a very nice touch. Thank you to St. Martin's Press and NetGalley who provided me with a copy of this book in exchange for an honest review. The thoughts and opinions are my own. This is the first book I can remember being told from the perspective of an anorexic. It elicited a mix of pity, anger and confusion in me. I mean, I understood the whole control issue intellectually, but this gives it to you from an emotional front. The chapters move between present day Anna, a history of how she arrived at needing treatment and the clinic’s assessment forms. The balance of it all works well. I would have liked to have seen a little more on how the earlier events in her life led her to succumb to this condition, but I also understand it could have made for a more awkward storyline. The book also does a great job of showing the effects of the disease on an anorexic’s loved ones. The fear of confrontation causes Matthias to constantly look the other way, to pretend everything is ok. The book doesn’t pull any punches. You see exactly how hard it is to fight this disease and how not all manage to do so. This is an extremely well done debut novel and I will definitely seek out any future works by the author. Sometimes reading is less an entertaining experience than one intended to teach, to provoke emotions, and make you think. 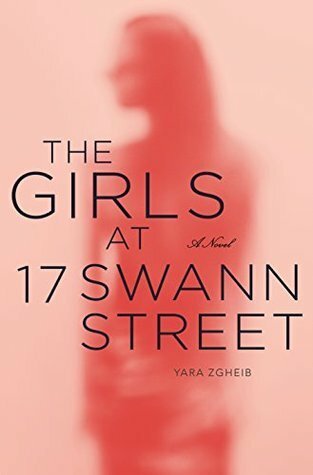 That was definitely the case with Yara Zgheib's powerful The Girls at 17 Swann Street . "How does one forget how to eat? How does one forget how to breathe? Worse: how does one remember? And how does happiness feel?" Anna Roux is 26 years old. She was a dancer in Paris, a profession which pays close attention to an individual's weight and appearance. There was a tim 4.5 stars. Anna Roux is 26 years old. She was a dancer in Paris, a profession which pays close attention to an individual's weight and appearance. There was a time she lived life with great gusto, enjoying all her favorite foods, and cooking her specialty dessert, sacher torte. And when she met the man of her dreams, Matthias, they enjoyed the finer things in life, punctuated by food, wine, and adventure. But after an injury sidelined her dance career, Anna agreed to follow Matthias to the U.S., where he had gotten a job in St. Louis. She dreamed of finding another dance opportunity, or at the very least, teaching dance. But there were no opportunities to be found, and the more time she spends alone, the more depressed she gets, and the more she starts worrying about her weight. A job in a supermarket does little to lift her spirits or self-esteem, and little by little, she gives up the foods she loves. "They had both become too comfortably settled in the magical kingdom of make-believe. She made believe that she was happy and all was fine and he made believe it was true. It was less painful than confrontation. Confrontation just led to fights. And so she ate nothing and they both ate lies through three years of marriage, for peace, at the occasional cost of no more roller coasters, no more sharing ice cream and French fries." As Anna's weight plummets, her health deteriorates, as does her relationship with Matthias. When her weight hits a dangerous low—88 pounds—she is admitted to 17 Swann Street, a residential program where women with life-threatening eating disorders go for treatment. Anna meets the other residents—Emm, the self-proclaimed leader of the girls, and the veteran of the house; fragile, compassionate Valerie; and Julia, who is always hungry. These women face the challenge of constant supervision, counseling, giving up most freedoms, and the worst thing of all, they must eat six meals a day. Anna wants to recover, she wants her life and her husband back. Yet the thought of having to eat so much food, especially fattening food like bagels and cream cheese, pasta, and yogurt, is absolutely paralyzing. She cannot understand how she can survive when she's gotten by for so long with eating so little. But more and more, she realizes that her life and her marriage are worth fighting for—and they can only survive if she's willing to accept her problems and understand what kind of help she needs. This is such an emotionally powerful book. Zgheib captures the emotional and psychological struggles faced by women with eating disorders, the immense discord that exists between knowing you have a problem and the powerlessness you feel to do anything about it. It's also an eye-opening look at how what we see—about ourselves, those we love, and our memories—is often so far from reality. 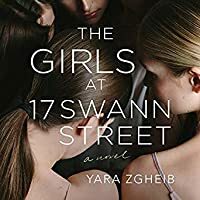 The Girls at 17 Swann Street is told in short chapters, alternating between Anna's memories of Paris, the early days of her relationship with Matthias, and the despair she began feeling when they moved to the U.S., and her time in treatment, her struggles to recover, and her relationships with the other women. For me, this was an eye-opening look at eating disorders and how they take their toll on women in particular, even when they know they need help. "Only 33% of women with anorexia nervosa maintain full recovery after nine months. Of those, approximately one-third will relapse after the nine-month mark." I've struggled with my weight for most of my life, but I'm fortunate that I've never had to deal with the kind of problems the women in this book did. I'm grateful to Zgheib for such a powerful story and for illuminating the struggles that so many people, especially women, deal with every day. Happy publication date to another one of my 2018 favorites! Get this on your list!!! Oh my gosh.... I don't even know if I will be able to give this novel justice through this review but I will sure try! The Girls at 17 Swann Street is a breathtakingly beautiful novel that opens your eyes to the demons of eating disorders. Yara Zgheib swept me off my feet with her words that left me haunted, raw, and teary eyed throughout this entire novel. The story begins with 26 year old Anna entering 17 Swann Happy publication date to another one of my 2018 favorites! Get this on your list!!! The story begins with 26 year old Anna entering 17 Swann Street residential treatment center for women that struggle with eating disorders. What I loved most about this novel was the power of showing rather then telling through Yara's words. Yara takes us into Anna's life ever so delicately as the novel alternates between Anna's past of her spiraling down into depression and anorexia and present at the treatment facility. Yara's talent shines with outlining the struggles that are associated with mental illness. Yara writes with compassion, empathy, love, and honesty in this character drive novel of Ana and her eating disorder. I was blown out of the water with how powerful this novel is. I found this novel to leave such an imprint on my heart. I highly highly recommend this hauntingly heart breaking read. 5 raw and breathtaking stars!!!! Huge thank you to Netgalley and St. Martin's press for the advanced arc in exchange for my honest thoughts. Like any disease, anorexia sneaks up on tiptoes. Quiet as a lamb. Anorexia is not wanted and most patients express surprise that they have fallen victim to such a hideous illness. Once diagnosed, the patient is usually very near death. It takes no less than a miracle to “beat” anorexia, all the odds are in the opposite direction. THE GIRLS AT 17 SWANN STREET is one of the most affecting stories I’ve ever read. It’s not just a tale of eating disorders, it’s a tale of women fighting for their self-identities. You may not have ever struggled with eating or body dysmorphia, but, I will go out on a limb here and suggest most readers will relate to the characters in the book. We all have those daily emotional battles fought in our own head, right? Yara Zgheib has captured the emotions so beautifully, the book can only be read through the tears in your eyes. The language is delicate and poetic, it’s completely mesmerizing. This is not to say it is a sad book. I found it to be a story of hope, love and discovery. Absolutely riveting from the first page, I could not put it down. I would wholeheartedly recommend it to lovers of contemporary fiction or even self-help mental health fans. Anorexia. A disease that is both a killer of the body but also of the mind. An illness that is as prevalent today as it has been for years. This is the story of Anna. Her journey of suffering and her journey to healing at 17 Swann street where other residents are trying to recover. A view to the thoughts that go on and the fears and phobias created. The shame and guilt that accompany each mouthful: As small as it is; as slowly as it is chewed. The small victories for every snack and meal consumed. Anorexia. A disease that is both a killer of the body but also of the mind. An illness that is as prevalent today as it has been for years. The small victories for every snack and meal consumed. The road to recovery is long and is not always successful. Once thought to be only prevalent among females, this disease does strike the male population. My son was diagnosed with anorexia 2’years ago. And although it was caught early, the destructive behaviours of mental illness still hold a place in our home. As the organizations that have put programs in place to not only those who suffer, but to the very families and friends who support them. Yara Zgheib’s debut is a stunning story resplendent with compassion and heart! An important story, a story that needed to be told, and that could not have been told any better than it was in this book...Miss Zgheib handles the tough and emotional subject of eating disorders with a gentle and loving hand... she handles the subject in a realistic and raw manner, but never lost sight of or compassion for those who suffer.... approximately A hauntingly powerful story alive with heartbreak and hope! The story is told from the present and the past... Anna’s life leading up to her present situation, including an abusive boyfriend... as well as Anna’s time spent in the treatment center... I really enjoyed getting to know all the girls at 17 Swann Street and hearing their own unique stories.... I also like how the meal plans and treatment notes were interspersed throughout the book, it really added some authenticity to the story... Anna was such a sweet caring girl with such a big heart I had so much compassion for her throughout the story... I was so happy she had such an amazing support system within the treatment center and an incredible husband who was really a rock! 🎧🎧🎧 The audiobook was narrated by one of my favorite narrators Saskia Maarleveld... she told the story with so much compassion and beauty... she really painted a beautiful picture with her voice! The stomachache worsened. She thought of Philippe. Who had found her pretty, just not enough. Smart and elegant, but not enough. Philippe, who had told her "I love you" and "Do you really want that slice of cake?" This is a powerful debut Novel by Yara Zgheib and it's a story that really stirred up some emotions in me. Anna is a twenty-six year old married woman who has moved from Paris to St. Louis to follow her husband's career. In Paris, she was a ballet dancer. She wo 4.5 Stars, rounded down! Anna is a twenty-six year old married woman who has moved from Paris to St. Louis to follow her husband's career. In Paris, she was a ballet dancer. She worked really hard at it but was always told, "you'd be better if you lost a few pounds." One day, Anna got injured and couldn't dance anymore. From there, the disease took over and Anna was in full anorexia mode. Anna got down to 88 pounds and her husband brings her to a treatment center. From here, we watch Anna's journey to possible recovery. This book takes you through all the emotions: anger, sadness, loss, frustration, hopefulness, happiness, love, anxiety, etc. Anna experiences all of these emotions as well as the other girls at 17 Swan Street and you feel them while reading along. The beautiful thing about this is that there's 7 girls at 17 Swan Street and they never leave anyone alone at the table. It was almost like an unspoken sisterhood and it kept giving Anna hope throughout the story. They reminded her of all that she had to lose and why she was the luckiest girl there. It's an emotional journey but a real and raw one at that. This book also had a special place with me because growing up in high school my best friend was bulimic. I had an idea of what it was but this book took me through her emotional journey, that at the time when I was 17, certainly didn't understand the complexity of. I could not empathize with the mental journey back then because it was simply something that was kept quiet. I wish I would have known what I know now after reading this. I wish I could have been her Emm and been there in more ways than I was. This really opened up my eyes and made me realize how much of your life these diseases really take over. Overall this was a great book. I read it in a day and I would have never guessed that this was a debut book. It is written in segments and can read a little choppy. I can see how that could annoy some people but I felt that it helped bring the emotion out much more and helped me feel for Anna. If you are looking for a heartfelt by raw book about women definitely pick this on up. It's out now! This was as beautiful as I’d hoped it would be. Anna Roux arrives at Swann Street as a former professional dancer. She gets sicker and sicker and finds herself weighing less than ninety pounds. At the house, she meets Emm, Valerie, and Julia. They seek comfort together and walk the This was as beautiful as I’d hoped it would be. A haunting look at a disease that is so hard to overcome. I'm far from knowledgeable about those who struggle with anorexia, have no personal connection to anyone who has, what I know comes from reading about the subject. How it effects everyone who cares or loves the person, how hard it is to watch a loved one melting away, and not able to do anything that helps. I just can't imagine the pain. The pressure on our girls, on us a women to be thin is a terrible thing. Some vocations though value th A haunting look at a disease that is so hard to overcome. I'm far from knowledgeable about those who struggle with anorexia, have no personal connection to anyone who has, what I know comes from reading about the subject. How it effects everyone who cares or loves the person, how hard it is to watch a loved one melting away, and not able to do anything that helps. I just can't imagine the pain. The pressure on our girls, on us a women to be thin is a terrible thing. Some vocations though value thiness more than others, dancers, gymnastics, models, ice sisters, all under an inordinate amount of pressure. In this novel Anna is a former ballet dancer, but there are many reasons she becomes anorexia, these we find out while she tells her story. At a meager 88 lbs, she is admitted to Swann street, a residential treatment center for girls, women with eating disorders. She will meet and make friends with others who are struggling, they will lean on and help each other, highs and lows. What made this book work for me was that the characters were so likable. It was easy to cheer for them, wince as they struggled, and just feel a great deal of empathy. This is a subject that needed to be written about, given much more attention, brought to the forefront of conversations. A touching read, but an informative one as well. I was fortunate to be asked by the book publisher to head to NETGALLEY and check out this book. I am so very glad that I did. The main plot is driven by the fact that the main character, Anna Roux, a professional French dancer, married for three years, is battling anorexia nervosa. Now, I have read a few books and watched a lot of movies about anorexia and bulimia and they are mostly portrayed by teenage girls. So it was very refreshing to see how this disease gradually takes over an adult woma I was fortunate to be asked by the book publisher to head to NETGALLEY and check out this book. I am so very glad that I did. The main plot is driven by the fact that the main character, Anna Roux, a professional French dancer, married for three years, is battling anorexia nervosa. Now, I have read a few books and watched a lot of movies about anorexia and bulimia and they are mostly portrayed by teenage girls. So it was very refreshing to see how this disease gradually takes over an adult woman's life. Like Anna, The Girls at 17 Swann Street are battling eating disorders and this book doesn't sugarcoat the treatments and offers a realistic portrayal of how people think and feel. Yara Zghieb invokes plenty of emotion in the writing of this novel and her various characters show us the many layers and complexities of living with an eating disorder. We see women who lose the battle and those who have struggled with it for many years. What I thought was so realistic is that although we see Anna supported by her beautiful husband, Matthias, this is contrasted by others who have no one. This just makes the book all more realistic and genuine in tackling such a subject that is rarely touched upon in women's fiction. Our striving to be thin has become an obsession. We indulge in costly diet plans, spend hours exercising, cut our food intake, all because the image of success and beauty is a thin body. If you are a dancer, a figure skater, a gymnast, or any other athlete, weight is the foremost idea in you mind. Don't gain an ounce, don't get any taller, don't grow and most of all don't eat. In this book, The Girls At Swann Street, we are taken into the life of a young woman, Anna Roux, as she and others battle the disease known as anorexia. They live together at 17 Swan Street where everything is monitored all in the hopes that they will somehow rediscover the world of eating. Anna is married and is loved by her husband, but he is at his wits ends as he watches the woman he loves disappear before his eyes. Anna had been a dancer studying ballet in Paris. She was totally focused on dance and of course staying thin is ever so critical if one wants to dance. Perhaps if she weighed less she could jump higher, spin faster, be someone special, something meaningful, something she doesn't hate when she looks in the mirror. She and her husband move to America, and Anna's life and her own self begin that spin into decline and possible death. Anna, eats less and less and her weight in a 5'4" body drops to a precarious 88 pounds. She is dying from the inside out. She is admitted to Swan Street in the hopes that this program will save her. Her husband is her ally, but that doesn't seem to be enough. She discovers the girls who with her, are suffering from the same inability to place food into their mouth. They have lost the joy of eating, and have lost the joy of living. Will this program save Anna and the other girls, or will they succumb to the ravages of anorexia? This compelling story comes at the reader like a train rambling along a track that is filled with anguish and sadness. This is a story that many know, that many find themselves in, that many will die from. I heartily recommend this book to all and feel that you will be enhanced and informed by Anna's story. As an aside, my oldest daughter was a competitive ice skater for eight years. I know, first hand how coaches would frown if weight was gained. They would be upset if a growth spurt set in for that would throw off a child's balance. They would try to control the life of a child to further their own ambitions to maybe someday be the coach of a winner. My daughter's ballet teacher would scream at parents waiting for their children that the parents were too fat. At that time, I weighed 110 pounds. I couldn't even, though I was an adult, get that thought out of my mind. Was I indeed too fat? It's insidious. It comes upon you, wrecks your mind as you constantly think and live weight. I watched and interacted with the children, the ballerinas at Lincoln Center. What they ate and placed on their lunch trays was pitiful, all in that attempt to be thin. Watch the TV, look at magazines, listen to jokes, we worship thinness. We look to normal people as if they are obese, and we fat shame those who have weight issues. This is who we are so is Anna and the other girls's stories so hard to understand? Thank you to Yara Zgheib, St Martin's Press, and NetGalley for an advanced copy of this moving story. Dana Beautiful review, Marialyce! I can relate to this, too. Thanks for sharing your story. I look forward to reading this book. Karen Wonderful review Marialyce! On my list! A harrowing novel about a twenty-six year old Parisian girl battling anorexia. Once I started reading this book, I could not put it down. It opens up with Anna, the main character, as she checks into 17 Swann Street, a residence that provides treatment to women with eating disorders. The name "Anna" is not random, many sufferers refer to anorexia as "ana". The illness, the center, and the characters are depicted in a complex and compassionate light. The author did and excellent job describing the A harrowing novel about a twenty-six year old Parisian girl battling anorexia. Once I started reading this book, I could not put it down. The illness, the center, and the characters are depicted in a complex and compassionate light. The author did and excellent job describing the emotional process, I felt connected and captivated by this story. Overall, I loved this book and recommend it to readers of contemporary fiction as well as those interested in subjects dealing with mental health. Thank you to St. Martin's Press who provided an advance reader copy via NetGalley. Anna Roux of Paris succeeded in her dream of becoming a ballerina, despite the fact that she didn't have the ideal body type or physique. Her lover Philippe (who she was having an affair with) scrutinized her every bite. If only she would diet a bit more, exercise harder, she would be awarded with the best ballet roles. But, he didn't really love Anna and she was never good enough. It never became more clear than w Thank you to St. Martin's Press who provided an advance reader copy via NetGalley. Anna Roux of Paris succeeded in her dream of becoming a ballerina, despite the fact that she didn't have the ideal body type or physique. Her lover Philippe (who she was having an affair with) scrutinized her every bite. If only she would diet a bit more, exercise harder, she would be awarded with the best ballet roles. But, he didn't really love Anna and she was never good enough. It never became more clear than when she saw Philippe saunter into a party with his arm around the perfect waist of his wife Natasha. Then one day at ballet rehearsal, light-headed from dieting, Anna collapsed and injured her knee. It's over three years later and Anna has a loving and dedicated husband, Matthias. They have emigrated from Paris to America for Matthias' job. However, when Anna applied to a local ballet troupe she was politely turned down. She spent months getting in shape, but did not manage to find any job openings in dance. She wound up working as a cashier in a supermarket... but her real career is anorexia. And now Anna is a patient in a home for women with eating disorders at 17 Swann Street. Because I love to eat (too much!) I had difficulty appreciating just how frightening and hard it was for patients like Anna to eat. There are strict rules at 17 Swann Street, and a schedule of vitals, weigh-ins, meals and snacks. The bathrooms are locked and you must ask permission. These girls are literally scared to death as they sit in front of the meal their nutritionist set out for them, wrapped up in plastic with their name upon it. Oftentimes the only way to get through eating each morsel is to get lured into someone's conversation or keep reciting a familiar poem in your head. Anything to get your mind off of the impossibility of eating all this food...even if it's just a half a bagel with hummus, yogurt, carrots and fruit. The guilt afterward creates a burning in the stomach. And then there's the anger at eating a bagel and cream cheese when it took so long to build up the walls to stop liking it so much. If you don't eat every bite you'll be forced to drink a nutritional supplement, and if worse comes to worse, you'll be fed by nasogastric tube. The ways that a body is adversely affected due to malnutrition is very sobering, such as loss of menstrual periods, bone and skin issues, extreme sensitivity to the cold. This is a stunning and raw look inside the mind of a woman that suffers from anorexia nervosa. "I do not suffer from anorexia. I have anorexia. The two states are not the same. I know my anorexia, I understand it better than the world around me." Anna is a young Parisian woman with ambitions to become a ballet dancer. Unfortunately, she never seems to make the cut. When her husband, Matthias, is offered a job in the United States they take the opportunity and Anna hopes that maybe, possibly sh This is a stunning and raw look inside the mind of a woman that suffers from anorexia nervosa. Anna is a young Parisian woman with ambitions to become a ballet dancer. Unfortunately, she never seems to make the cut. When her husband, Matthias, is offered a job in the United States they take the opportunity and Anna hopes that maybe, possibly she'll get her chance at ballet after all. She does not. Matthias works long hours that leave Anna lonely. One thing she discovers while alone is that she doesn't enjoy eating alone so she takes a job as a supermarket cashier in order to help kill time and supplement the income. Anna's life has not turned out the way she has expected. While her love for her husband remains constant she can't help but feel she has no control over anything in her life. As time ticks by Anna slowly stops eating. The pounds begin to drop and Anna sees this as success. See, Anna can control something. She can control what she eats. The disease is an addiction she feeds off of. The disease is the only sustenance that she needs until it becomes obvious to those that love her that she can no longer continue or she will die. "Everyone around me thinks I have a problem. Everyone around me is scared. I do not have a problem. I just have to lose a little bit of weight. I am scared too, but not of gaining weight. I am terrified of life. Of a sad and unfair world. I do not suffer from a sick brain. I suffer from a sick heart." This is how Anna finds herself at 17 Swann St. This is where, we as readers, come to understand the thought process and mentality of those that suffer from eating disorders. I don't think I have ever rooted for a couple before as much as I did Anna and Matthias. These two share a love that knows no bounds and it was absolutely beautiful to witness. Each and every bit of dialogue between these two brought me to tears. Yara Zgheibs use of language is exquisite. It's poetic and lovely and packs an emotional punch that will leave you breathless. 5 stars! Michelle Debra wrote: "Wonderful review Michelle! Such a great book! Glad you loved it!" Thank you, Debra! 💖 I am stunned that this is a debut novel. I look for Debra wrote: "Wonderful review Michelle! Such a great book! Glad you loved it!" You will find many heart wrenching, glowing reviews on Goodreads for The Girls at 17 Swann Street. This is not be one of them. As great as the story itself was, it did not resonate as it should have with me. Let me explain…. For those who are unaware, this book is about a home for women and teens with eating disorders, primarily anorexia and bulimia and the women who live there. We are privy to their thoughts and feelings about food, about their private lives, what might have brought them to this You will find many heart wrenching, glowing reviews on Goodreads for The Girls at 17 Swann Street. This is not be one of them. As great as the story itself was, it did not resonate as it should have with me. Let me explain…. For those who are unaware, this book is about a home for women and teens with eating disorders, primarily anorexia and bulimia and the women who live there. We are privy to their thoughts and feelings about food, about their private lives, what might have brought them to this point. There are those who will survive and, heartbreakingly, there are those who do not. I am child who came of age in the 70s. Karen Carpenter was the biggest thing in our lives and we all grieved when she died in the most horrific manner possible: heart failure from starvation. In a world full of success and love and music and plenty, here was a woman who had, literally, starved herself to death. When my first husband left me because I wasn’t pretty enough, thin enough, fashionable enough, I did what any other woman would do: I lost weight. And then I lost more…. and more…. and more…. until I, too, ended up in the hospital. Luckily, I had a great daughter and a wonderful doctor and I got past that point, sort of. When my son was part of the US Diving Team, I watched in horror as young girls retched in the bathrooms, took laxatives after meals, ate and purged, all to please their coaches and to fit into suits that looked great for their fans and to meet the too-high expectations of their parents. This lifestyle, these expectations are so egregious that they cannot be expressed adequately. It is difficult for any author to try to do so and I applaud Yara Zgheib for attempting to do so. It is a subject that must be talked about, discussed, brought into the light for us all to see how utterly common it is in our society. However – the writing style that Zgheib employed throughout the book was so incredibly distracting that I barely made it to the end of the book. This trend of not using appropriate punctuation is annoying as hell! She is a journalist, holds a PhD and she knows better. This was done as a gimmick and, for me, it did not work. Not only did it not work, it made me incredibly angry – with her, with the book, with every person who allowed this nonsense to go through especially, and because, this book dealt with such an important topic. I love grammar and I love reading. I do not appreciate those who erroneously feel that proper grammar or punctuation is optional. Unless you are e e cummings, you do not get to play with punctuation and even he drove me nuts. There are plenty of other marvelously written books on this topic. I suggest that you read one of those instead. Or, take the advice of other reviewers who are not as picky as me. Perhaps opprobrious lack of punctuation will not bother you. Anna has struggled with anorexia for years and moves in to a live in treatment facility for women battling eating disorders. The book is described as having a lyrical quality to it and I admit I was a bit leery at first because that isn't something I typically like. However, because the subject matter is so heavy it actually worked in the book's favor as it made the tough parts slightly easier to take because they were broken up a bit. I thought this was a pretty realistic portrayal of a woman w Anna has struggled with anorexia for years and moves in to a live in treatment facility for women battling eating disorders. The book is described as having a lyrical quality to it and I admit I was a bit leery at first because that isn't something I typically like. However, because the subject matter is so heavy it actually worked in the book's favor as it made the tough parts slightly easier to take because they were broken up a bit. I thought this was a pretty realistic portrayal of a woman with an eating disorder. For people that have never dealt with one before, I think you can walk away after reading the book at least having a better understanding of the mindset of someone struggling with anorexia. The only part of the book I had problems with was the ending as it felt like the author was in a bit of a rush to wrap up the story. Overall, this is a tough but good read with an emotional punch. Anna Roux was a professional dancer who followed the man of her dreams from Paris to Missouri. There, alone with her biggest fears - imperfection, failure, loneliness- she she spirals down anorexia and depression till she weighs a mere 88 pounds. Her husband, Matthais finds her unconscious on the bathroom floor and she has been put in a residential treatment centre for people with eating disorders. If your looking for a happy ever after story, this book is not for you. I shed a tear a few times w Anna Roux was a professional dancer who followed the man of her dreams from Paris to Missouri. There, alone with her biggest fears - imperfection, failure, loneliness- she she spirals down anorexia and depression till she weighs a mere 88 pounds. Her husband, Matthais finds her unconscious on the bathroom floor and she has been put in a residential treatment centre for people with eating disorders. If your looking for a happy ever after story, this book is not for you. I shed a tear a few times while reading Anna's plight. Anna is anorexic and ends up getting treatment at 17, Swann Street, where a lot of other fragile young women are facing their daily demons. We learn the routines the girls have to go through on their road, hopefully, to recovery - adding their calorie intake, slowly, the rules for mealtimes and what happens if they don't follow them. A fantastic insight into eating disorders. I do recommend this book. Anorexia nervosa is a horrible disease that touches so many people. It doesn't just take over your body and mind, but it also impacts on those that are close to you, family, friends and work colleagues. In this story, we take a journey of Anna’s life and her fight with anorexia and what a battle it really is. My heart truly went out to Anna and the other girls who she shared a room with at the treatment clinic. After reading this book I got a much better understanding of what this horrible disea Anorexia nervosa is a horrible disease that touches so many people. It doesn't just take over your body and mind, but it also impacts on those that are close to you, family, friends and work colleagues. In this story, we take a journey of Anna’s life and her fight with anorexia and what a battle it really is. My heart truly went out to Anna and the other girls who she shared a room with at the treatment clinic. After reading this book I got a much better understanding of what this horrible disease does, not only to the body, but the mind as well. For most of us, we never think too much about what we eat (well, I don’t anyway) unless we are on a diet or we suffer a health condition such as diabetes where we have to be aware of what we are eating. For people with anorexia or an eating disorder, they struggle to eat simple foods and if they do manage to consume something, then they question the calorie intake and how much exercise it will take to burn those calories. It’s a daily battle and sadly for many it’s a battle that will end their life. Sad and heartbreaking story that will tear at your heartstrings, but it will give you a better understanding of what people with eating disorders go through. Some will win the fight and sadly some won’t. A book that will remain with me for a long time to come. With thanks to Netgalley and the publishers for my digital copy to read and review. Highly recommended. If I had to describe this fantastic book in one word it would be powerful. In this amazingly beautiful and well-crafted story we meet Anna and Matthias Roux. As the story opens, 26 year old, 88 pound Anna, a would-be dancer from France turned American grocery store clerk, is being admitted to a facility for individuals with life-threatening eating disorders. As we come to know her and her housemates, we cheer, cry, encourage, care and grieve for them. This book is haunting, emotionally taut, raw, If I had to describe this fantastic book in one word it would be powerful. This book is haunting, emotionally taut, raw, and real. This book smashes some pre-conceptions, it certainly did for me, and provides a platform for genuine understanding and empathy. I was openly weeping at some points and crying tears of joy and victory in others. Matthias and Anna's love for one another is breath-taking. This book is a work of art and art is meant to be impactful, shared, discussed and appreciated. Thank you to my GR buddy, Michelle, for loving this book and nudging me toward it! Pain manifested into self loathing. What I knew about anorexia is based on after school specials from my youth and that the incomparable songbird, Karen Carpenter, lost her life due to its effects. And while I may intellectually understand that this is a maladaptive means to cope with emotions, this book laid bare what it is to live with this twisted view of one’s self, how those afflicted perceive the world and it was both absorbing and agonizing. The author writes about anorexia with such auth Pain manifested into self loathing. The author writes about anorexia with such authenticity and the characters are rendered with such pathos--both the anorexic patients and those that love them--that I was not surprised that she herself struggled with the disease. Even the treatment center from which the title is derived feels like a real place, the nurses and therapists handing out both tough and tender love. It is also a testament to the author’s own struggle that she ends the book realistically, with hope, but also with the uncertainty we all face every day. A painful, yet necessary debut. MY NAME IS ANNA I AM A DANCER & I SUFFER FROM AN EATING DISORDER ANOREXIA NERVOSA!! I do not know how to give this novel justice but I just will say this Yara Zgheib thankyou for writing a book on this hideous disease I was compelled by every page I turned & it was a gut wrenching read , I loved Anna's character I felt her emotions going through me at every step she was going through. Her Husband Matthias was an absolute rock for her sticking by her where no one else would, I understand h MY NAME IS ANNA I AM A DANCER & I SUFFER FROM AN EATING DISORDER ANOREXIA NERVOSA!! I do not know how to give this novel justice but I just will say this Yara Zgheib thankyou for writing a book on this hideous disease I was compelled by every page I turned & it was a gut wrenching read , I loved Anna's character I felt her emotions going through me at every step she was going through. Her Husband Matthias was an absolute rock for her sticking by her where no one else would, I understand how he felt I felt compassion for him as well. All I will say now is that this was so upsetting & I really don't understand how one can not eat it is a mental illness that only people who have this can understand, you wanna live & get better or you don't That's it. You live by the rules or you don't your choice. It was a heartbreaking read that I thoroughly enjoyed due to the subject matter I have learnt a lot more about Anorexia than I knew before. Book Club read #21, March 2019. I do not cry over books. I might tear up a bit, but seldom is there actual crying. This book made me cry, multiple times. Anna was a ballet dancer, was living in Paris with her French husband, eating fine meals, drinking wine. Ballerinas are pressured to stay thin, get even thinner, so eating habits had to change. She also had lost some family members, tragically. Anna did not choose to become anorexic; she did not consciously decide that 88 pounds was her ideal wei Book Club read #21, March 2019. Anna was a ballet dancer, was living in Paris with her French husband, eating fine meals, drinking wine. Ballerinas are pressured to stay thin, get even thinner, so eating habits had to change. She also had lost some family members, tragically. Anna did not choose to become anorexic; she did not consciously decide that 88 pounds was her ideal weight, or that fruit and popcorn were her main food groups. It just happened as the disease aggressively and stubbornly took over her mind and body. Now in Midwestern America, she goes for treatment at 17 Swann Street and so much happens in such a short time for her. I was taken in by all the fragile young women there and their daily struggles. A very emotional journey, for me at least. A quote from the preview copy I read: "Only 33% of women with anorexia nervosa maintain full recovery after nine months . Of those, approximately one-third will relapse after the nine-month mark."